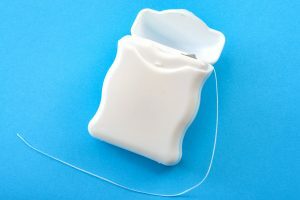 There are certainties about dental floss in your life that you have already come to realize. For instance, you know that we suggest you practice this part of your dental hygiene daily because it’s important for preventive dental care. As a result, you’re likely aware that it helps keep your smile clean and assists in inhibiting the development of oral health problems. However, sometimes, even such details aren’t motivating enough. With that said, our Celina, TX team has come up with some things to tell yourself that may offer additional help! We remind you to tell yourself something similar to: If you haven’t flossed, your day isn’t complete yet! This is because it can be very easy to dismiss floss as the least of the goals you need to meet every day when, really, it’s a priority! Make sure you do it and your oral health will benefit greatly. If you’re not keeping your smile super clean with complete dental hygiene, which includes both brushing and flossing, then remember that bad breath is a certain problem that will show up. Remember that keeping your smile healthy and free of problems is something that you can always do. As long as you ensure you have access to the things you need, you’re in good shape! So, rather than tell yourself you don’t have time to floss, remind yourself that you can floss anywhere. Bring floss with you to work or school and complete it in the bathroom, etc. It takes very little time and is essential for optimal dental hygiene! You might want to remind yourself to stock up on dental floss. Buy some larger containers, some smaller containers, some travel containers, and keep them wherever you think they may benefit you. Remember that because it’s so easy to floss just about anywhere, as mentioned, and because you can get food stuck between your teeth any time you snack or eat a meal, it’s nice to have on hand. Think about keeping it at your work desk, in your bag, in your glove compartment, etc. and you’ll never end up with an embarrassing visible- or uncomfortable-food-between-teeth moment that way! Remember that when you keep floss with you, there’s never a time when you worry you won’t be able to get to your flossing for the day. You can also troubleshoot food between teeth! Need more advice? Just ask. Get the information and treatment you need in Celina, TX by contacting Celina Family Dentistry to schedule a visit today at (214) 851-0130.